If you at the font style of the Martin's name, you can see the similarity with Giant's font. Nice, thanks for the extensive info on this Gary. 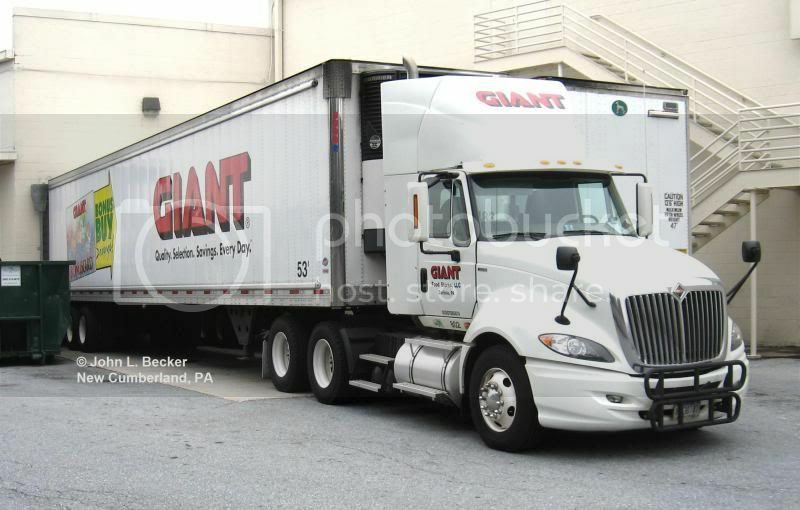 It makes sense now, since I saw the Peterbilt with the other Giant trailer down in Maryland on I-95. 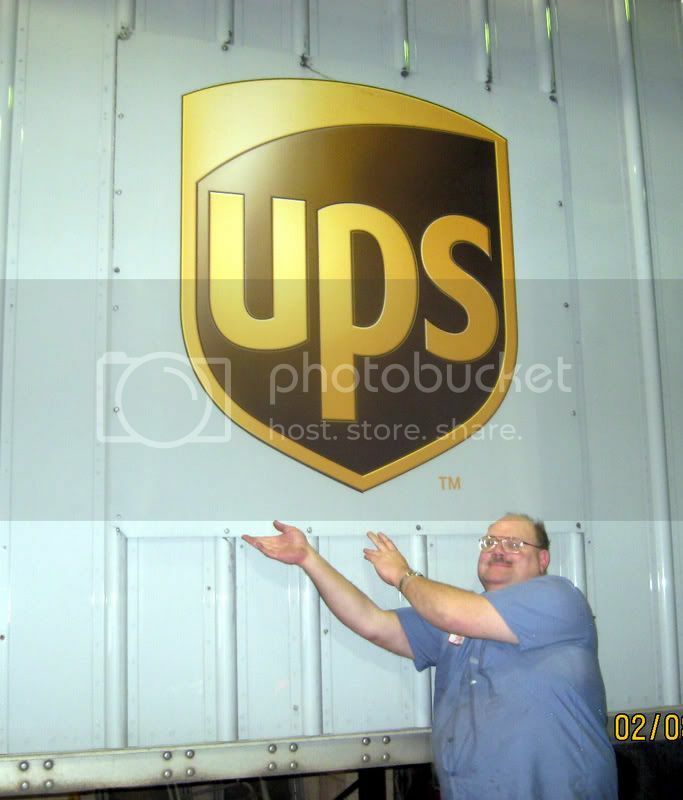 With a reefer container! Nice one Ray. I went to Giant this afternoon and lo-and-behold, I found this ProStar at the dock making a delivery. While I was taking these photos, I heard this female voice asking me if I liked her truck. As it turned out, the driver was on the porch getting ready to go inside and we chatted for a few minutes. X2. Can't tell which i like better in the food service industry......Prostars or Cascadias. 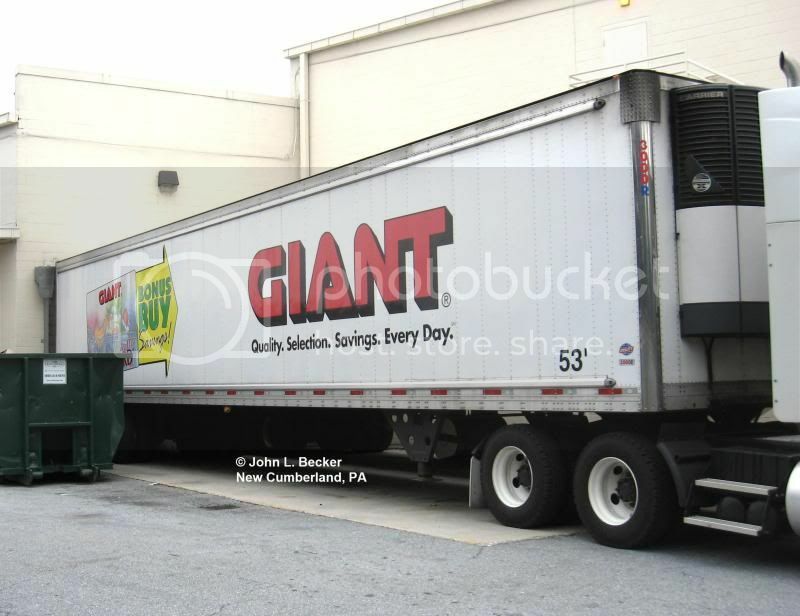 With a Martin`s trailer in Bensalem PA.
More of a deer bumper that a proper moose bumper. I caught one this morning heading east. 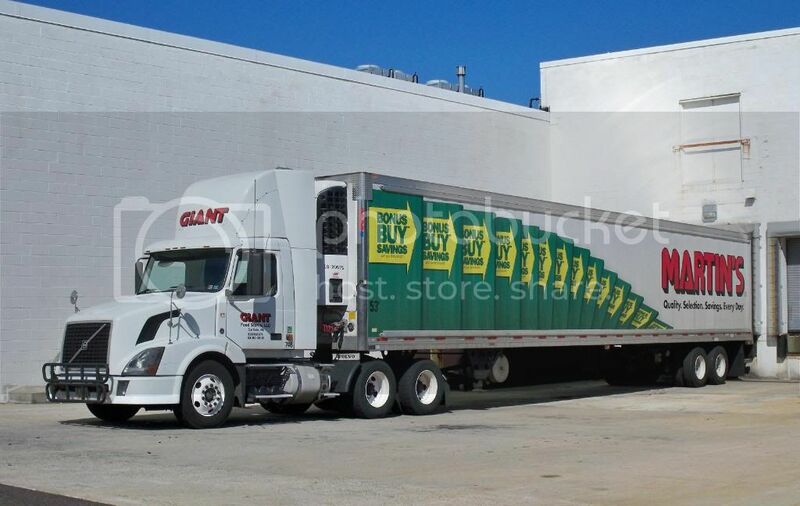 Giant's about to open a new store in my area so there might be more trucks around from this chain. 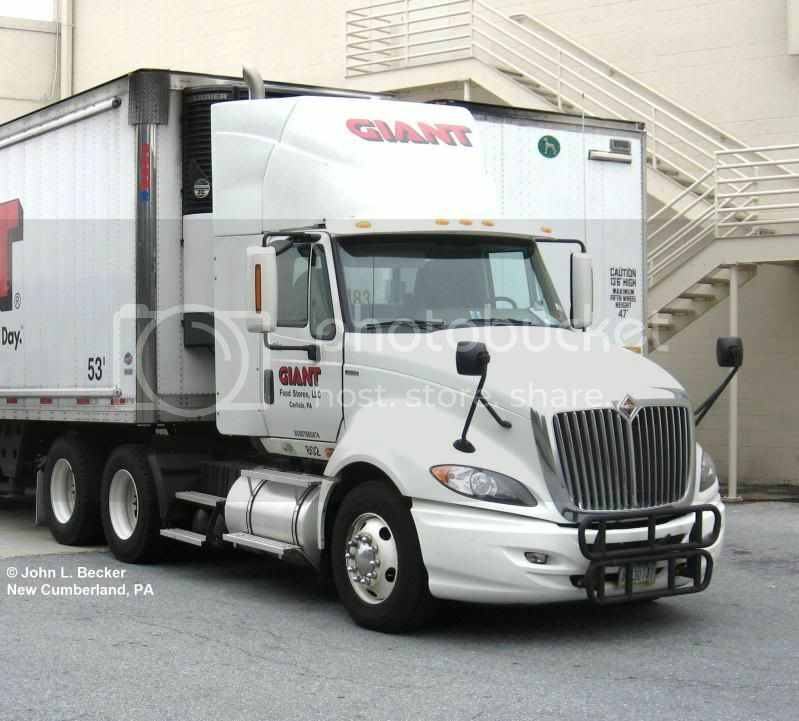 Here's a crappy shot of a ProStar near Lancaster, PA from last week pulling a Chiquita container reefer. All I ever see in my area are VNLs. 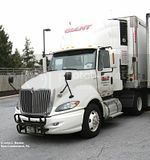 What are the containers mounted in front of the trailer axles? A pesticide for sea travel?